It’s Passover and you know what that means… no bread! But it’s ok because we got matzo! 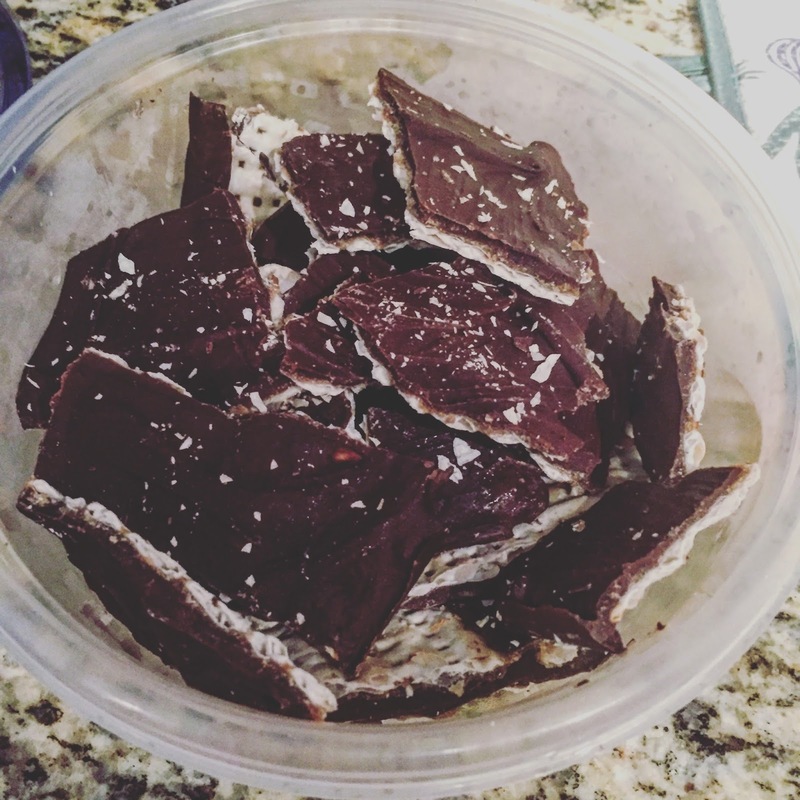 If you are looking for a delicious dessert treat for the next 8 days then sit on down and enjoy my favorite Passover dessert. It’s incredibly easy to make and will be a hit at your next sedar! 2. On the baking tray, lay out some tin foil and spray with Pam. 3. Place the matzo on the tin foil so that the baking tray is completely covered. It is ok to break apart the matzo to make it fit in a pot on the stove, put in the margarine on medium heat and let it melt. 4. Once it has melted put in the brown sugar and mix. 5. Once everything has mixed, use a basting brush and spread the toffee mixture onto the matzo. Make sure it is completely covered. take out and sprinkle the chocolate chips on the matzo. 7. Put back into the oven for 5 minutes. 8. 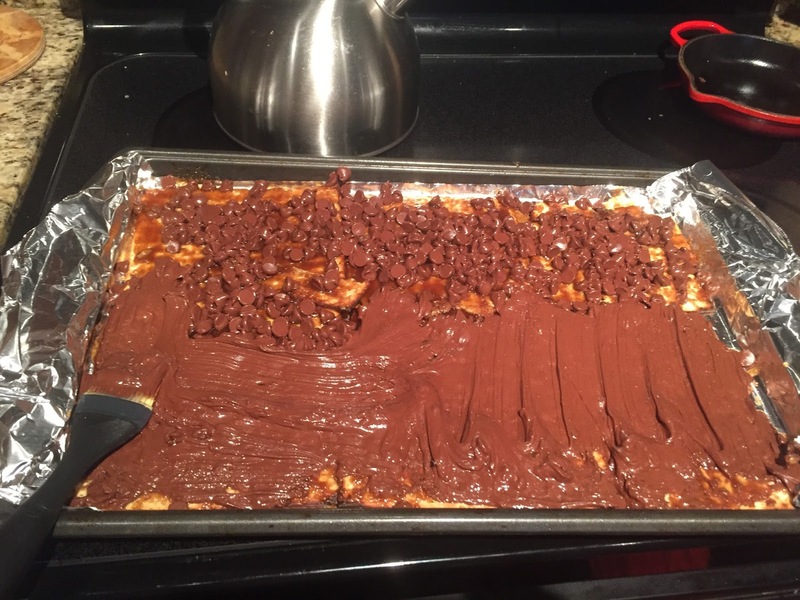 Take out and use the basting brush to spread the chocolate all over the matzo. Make sure every piece is covered. 10. Take out, break apart and enjoy!